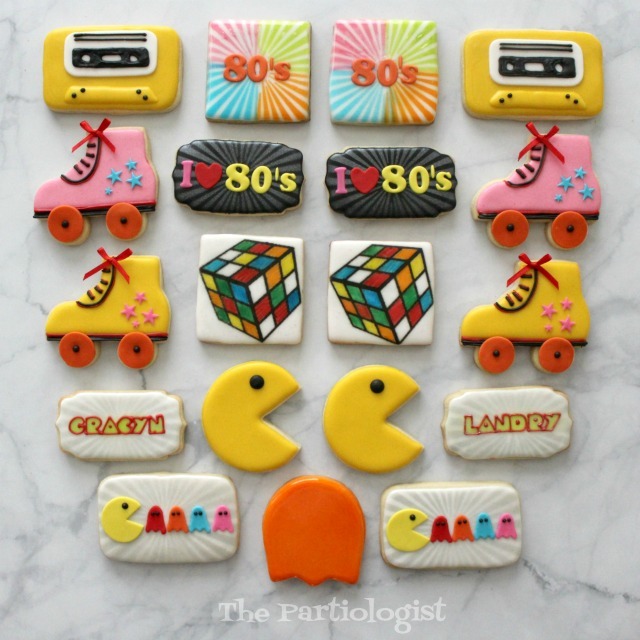 The Partiologist: 80's Themed Cookies! 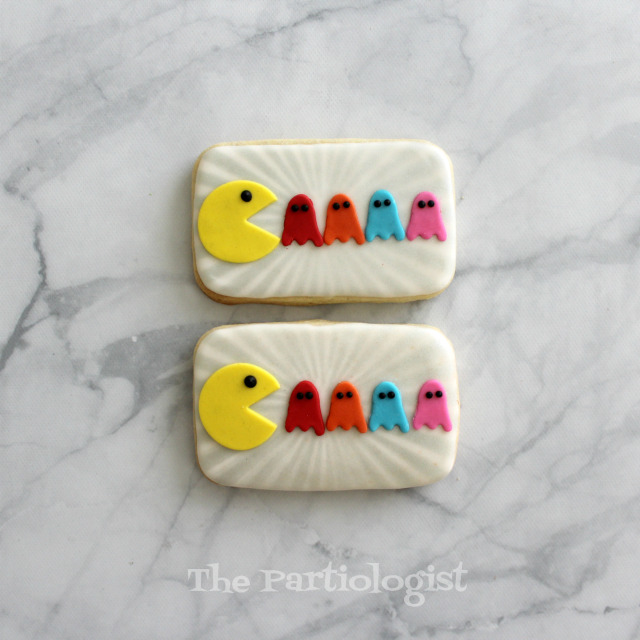 Like, okay, just when you thought I was done with the 80's Pac Man themed desserts, this pops up in your e-mail. 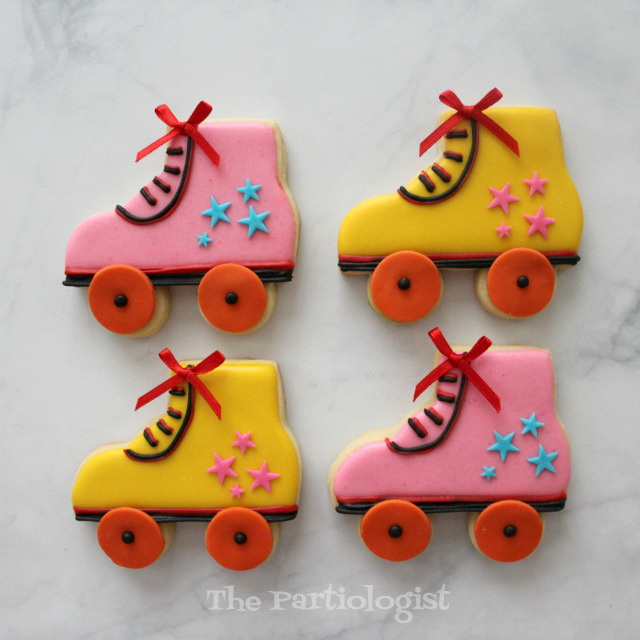 I mean really dude, you didn't think I would forget about making cookies did you? I didn't even know where to begin, so I just started and this is what happened. 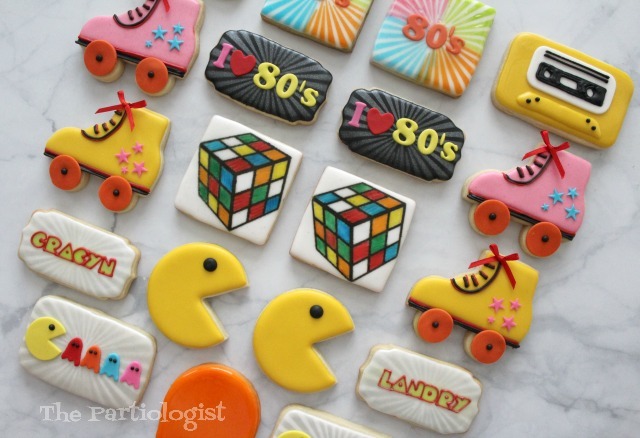 I think they turned out totally rad! 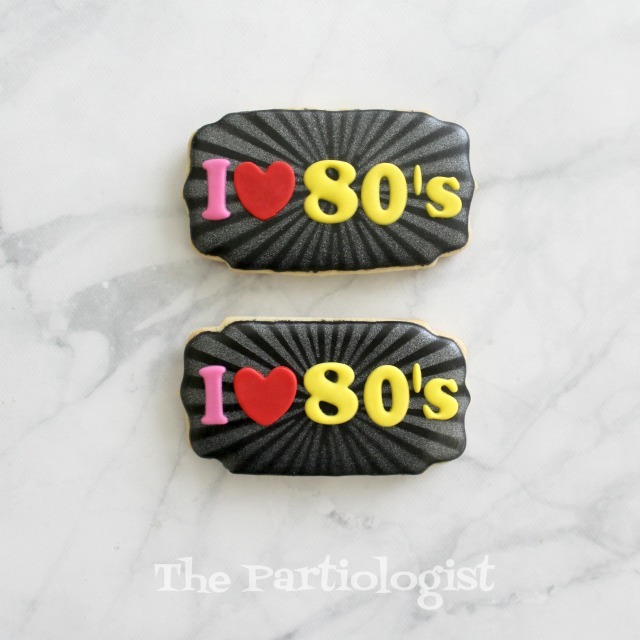 I think the birthday girls will love them even if they didn't live through the 80's. No duh. After I finished, I thought of other designs. But I ran out of time energy. Amazing! 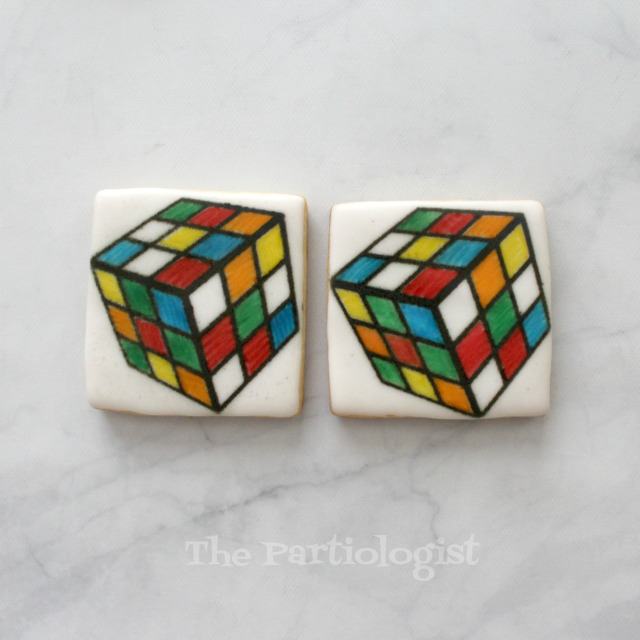 The Rubik's cube cookies blew me away. They are perfection. Thanks so much, they were a labor of love for sure!